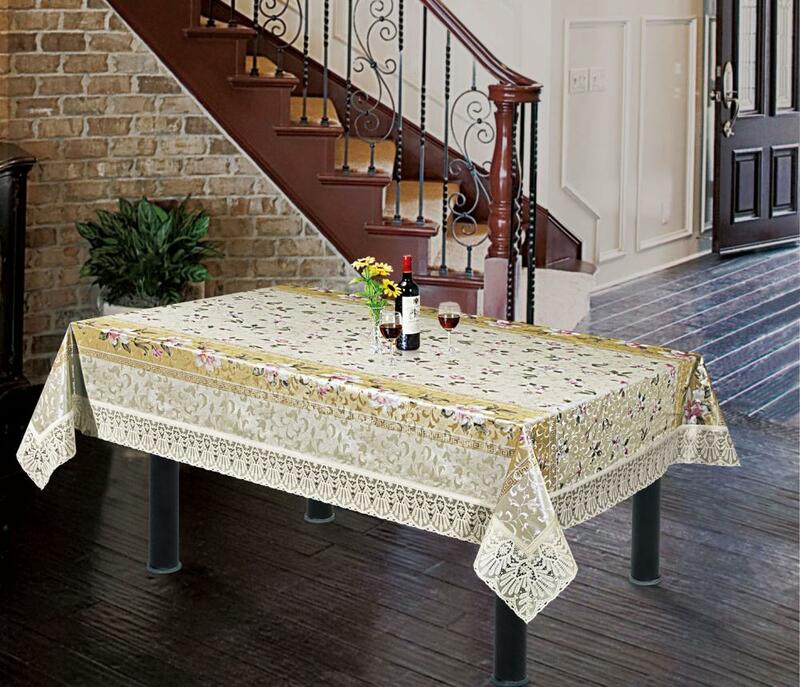 Readymade Tablecloth With 4 inch Lace Edge is always a centre of attraction for any home and to make it more attractive, we presents the beautiful and elegant cover which will enhance the beauty of your centre table. The Product Dimension in LxW: Inches (60x40) :: in cms (152.40x101.60) And The color combination of the cover are praiseworthy and looks very rich, elegant and attractive. It is made of high quality PVC material which gives it a long and durable life and make it easy to use and clean. It is water and dust proof and protects your table surface. Looking for ideal Wipe Clean Tablecloths Manufacturer & supplier ? We have a wide selection at great prices to help you get creative. All the Ready Made Table Cloth are quality guaranteed. We are China Origin Factory of Vinyl Lace Ready Made Table Cloth. If you have any question, please feel free to contact us.